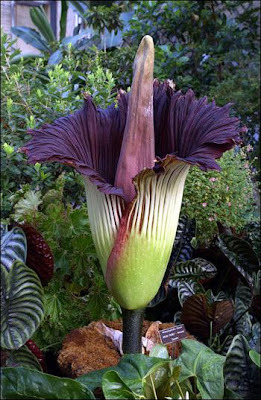 Life in general: Crop Circles and Corpse Flowers Oh My! Crop Circles and Corpse Flowers Oh My! I have been quiet in the blog world lately. I am not sure why that is. Maybe it is due to the fact that life has seemed busier than normal lately. I have been busy but I do not recall doing anything "blog worthy". So I thought I would share two articles which I read this morning and found to be very interesting. First off those who know me know that I am a little bit of a crop circle enthusiast. This particular pattern was spotted May 25th at Windmill Hill near Devizes, Wiltshire. 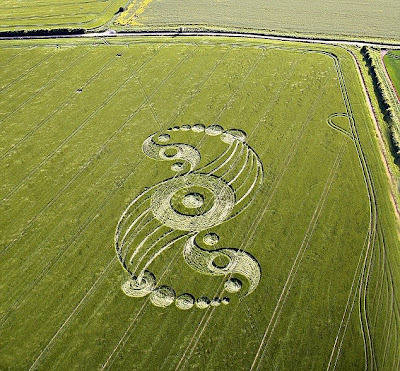 It is approximately 350 feet long and the region it was found in has been a hotspot for crop circles over the years.